9 to 5 Coaching, 24/7 Community! Coaching whenever you need it by Reachout staff--experts in Reachout's materials with years of experience in children's ministry as well as directing VBS. If you'd like Coaching help, just call or email us with your questions and a call-back time. We will then assist you in any way possible. And please send any specific prayer requests and our Reachout staff will uphold you in prayer! Summer Seaquest is just one of four rotating adventure themes. 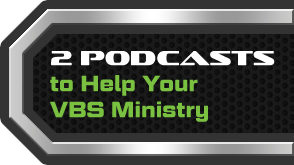 Sign on with VBS Reachout Adventures & take the guesswork out of your VBS decisions! The following guidelines will help walk you through the challenge of determining how many student packets to order. Reachout adventure age groupings refer to grades just completed. Order sufficient quantities of 4's-Kindergarten Student Packets. Churches often under-order for this age group which, in fact, usually draws the most children. It is wiser (and less costly) to slightly over-order than it is to have to place a rush, overnight order for extra materials once your VBS is underway! A general rule of thumb is that your order numbers will decrease as the age group increases. Keep in mind, however, that many churches tell us that a VBS Reachout Adventures program draws more 5th-6th graders than any other they have used! If you used in , take your final attendance figures, consider any obvious changes, and add between 5%-10% for a natural increase due to siblings, publicity, etc. If you used a non-Reachout Adventures curriculum in , consider your potential for adding more students due to a fresh, new approach. Don't underestimate the drawing power of a unique, adventure-filled VBS! Is your church located in a neighborhood with many or few children? Is your church associated with a Christian school or daycare? Do the children of your church attend a number of different schools, increasing the potential for outreach, or are they mostly drawn from the same circles? Determine how extensively you will publicize Summer Seaquest (social media, direct mail, outdoor banners, posters, etc). Before selecting the dates of your VBS, check your community calendar and that of neighboring churches to learn of possible conflicting events or VBS's that would decrease your potential for drawing community children. We know how difficult it is to predict the number of students you will have when you are placing your order. While we have a no-return policy, we will do all we can to accommodate your needs by allowing exchanges between one grade level of student books and another, and by sending additional materials as you need them. Rush shipping is available upon request. Also, we're available via phone or email to offer advice in determining order quantities. Though designed as a 5-day, 3-hour Vacation Bible School, the VBS Reachout Adventures' curriculum materials can be used, with minor schedule modifications, in a variety of other settings such as evening VBS, week-long Bible camp, weekly Kids' Club, Day Camp, Backyard Club, or Day Care. The suggestions below have been written to help churches adapt the program for use in one of these alternate settings, as well as to stimulate your own thinking on modifications you may want to consider to achieve the best program for your ministry purposes. With some minor adjustments to the schedule, VBS Reachout Adventures' program can easily be used as an evening VBS. In fact, the availability of men and women to serve in staff positions who have daytime work commitments makes this a viable alternative for churches struggling with staffing. Consider running concurrently a special program for parents, such as a Bible study or video series. If the 3-hour schedule is too long for your evening, you can keep all the components by trimming most events 5 or 10 minutes (opening and closing assemblies, recreation), and eliminating the additional memory work time. In planning the closing program for parents at the end of the final day, eliminate recreation and snacks from the regular schedule that evening and offer refreshments with the parents. Reachout Adventures' schools are ideal for a Bible Camp setting, as the curriculum provides the adventure theme, Biblical content, lingo, music, recreation ideas, competition, and suggested decorations, all of which are desirable aspects for a camp program. Devote the second chapel to a review of the lesson and life application (probably without the costumed Storyteller appearing). Complete the Student book's lesson worksheets in a small group discussion format during the second chapel. The daily Bible readings are perfect for the campers' daily devotions, either individually or as a cabin (especially for the younger ages). While you will not have the advantage of parental involvement (unless it is a Family Camp), counselors can assist the children in meeting their memory work and service project requirements. The Recreation Packet activities can be expanded since your facility presumably accommodates more active, outdoor events. The Bible camp setting gives you more opportunities to interact with your children throughout the day, getting to know them and their heart-response to the Gospel and the truths of the Bible lessons. VBS Reachout Adventures' school can readily be developed into a weekly kids' club format. How much of the lesson content can be told each week will depend on the amount of time allocated for your program. All of the components of Reachout Adventures' school can work well in a weekly schedule. The daily opening and closing assemblies are perfect for your whole-group times, with all or many of the ages coming together for singing, offering and memory drill. Classrooms by grade groups fit the individual club or classroom time, with the children going to hear the Storyteller or the Storyteller coming to the classroom. The student books will provide worksheet time during your program, and at-home assignments that will encourage parental involvement. While the curriculum is designed as a 5-day school, it is easily expandable to a longer term by having the Storyteller divide each lesson into two parts, and extending the children's daily goals over a 2 week time period. While this may involve incorporating additional memory work, there is plenty of material to cover 2 weeks per lesson/set of daily goals. This would also provide more time for lesson application discussions during individual classroom time. Also, 2 weeks could be devoted to a dress rehearsal for your closing program and then 1 week for the program itself. If you do not have a 3-hour period, each scheduled day could be shortened as needed by eliminating either the closing assembly, recreation, and/or shortening the memory work time. One area of difficulty may be that of decorations. How extensively you can rearrange your facility and decorate will depend on the other uses of the facility throughout the week. If you are unable to keep the decorations up between meeting days, make sure that you have easily mobile props to convey the adventure theme. With VBS Reachout Adventures' emphasis on teaching both churched children and their neighborhood friends, this curriculum is adaptable for use as a Backyard Club in various neighborhoods. By scheduling clubs on different weeks or on the same weeks at nearby locations, the costumed Storyteller can visit all of the different sites. When scheduled on different weeks, decorations can also be shared. Decorations can be simple, and yet convey well the camping and hiking adventure theme. We suggest that you select one age level of student books for the entire group at any given home, probably 1st & 2nd or 3rd & 4th, depending on the anticipated ages of the group. (Four different worksheets and assignments within the same club would be too complex.) Be sure to gear your expectations to the developmental level of your children, as well as their home situations. Community children may not get help at home with daily Bible readings or memory work, so be sure to allot time during your clubs to assist them. Simplify the day with less elaborate arrival lineup, Scripture drill and contest, but do have singing, perhaps using the instrumental side of the Leader's Music CD as accompaniment. The team designation is useful for games and rotating who goes first to crafts, snack, story time, etc. VBS Reachout Adventures' curriculum can also be used as part of a Day Care program. How you incorporate the material will depend on the current structure of your Day Care schedule. The children will love the music; it is amazing how much they can learn of the Scriptures and God's truth through the songs. The lesson handwork and craft projects, many of which reinforce the story, are terrific for your regular craft time. Older pre-school children will become engrossed in the eyewitness accounts of the Storyteller. For younger ones, just seeing and touching the Storyteller may be all they can handle. Make sure there is nothing covering the face or otherwise scary! Downloads are available to customers who have placed a qualifying Summer Seaquest 2019 VBS order (must include Student Packets). If you know the e-mail address associated with your order, please click the 'Login' link in the footer navigation below to access clip art . If you did not place your Summer Seaquest order online, please call us at 1-866-468-2772 or e-mail us at support@vbsreachout.com for your login information. Note that the clip art available here is just a small portion of the clip art available on the Artwork CD.